Last week was long. It was our first week without Lily and Mark was in Italy for work all week. With the time difference and our combined hectic schedules, we communicated next to nothing. When he texted on Thursday saying his flight was cancelled getting out of Milan due to an airline strike, I might’ve had some 4-letter words come to mind. Fortunately, that didn’t happen. He was home by Friday afternoon. I’m especially glad to have some reinforcement back because I twisted my ankle/foot playing tennis. Like, really bad. I’m going to have to see my doctor this week and I won’t be surprised at all if I end up needing an x-ray. Needless to say, I’m hobbling around with just enough pain and a pain such that I have a feeling I really screwed something up this time. When I return to tennis, it will be in proper foot ware (TENNIS shoes, not running shoes). Ugh. My parents and best friend were in for the weekend and we had lots of fun despite the rainy, no good, WHERE-IS-SUMMER-ALREADY weather. We even did bumper boats on Saturday! It was chilly and we were nearly certainly we were going to get caught in a downpour…but it all worked out. Our guests all headed out first thing this morning and we made our way to church. As we were driving home, Mark offered up a suggestion for the rest of the day: leftovers for lunch, put Piper down for a nap, Shea has quiet time/reading time, I make the menu for the week and blog while Mark works out, when Piper gets up from her nap, we grocery shop, have dinner together and make the kiddo’s lunches, and after the kids are in bed, watch Seabiscuit. VERY specific proposal…which I accepted. Not that it’s much different from what we usually do, but he’s going to pull us away from binge watching Shameless to watching a movie instead. I’m game. It all sounds like the best way to prepare for the week ahead, especially after this most recent work trip being about twice as long as most of his others. IT WAS A LONG WEEK…and I never sleep well when he’s gone. I sleep, but I wake-up exhausted. Is this all in my head?! Unlike his shorter trips, I also put forth some serious effort in meal planning and cooking. 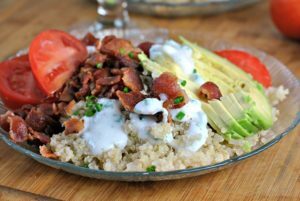 All the meals were super easy, but they were mostly new to us, all super quick to whip together, and all approved by the kids. MOM WINS. 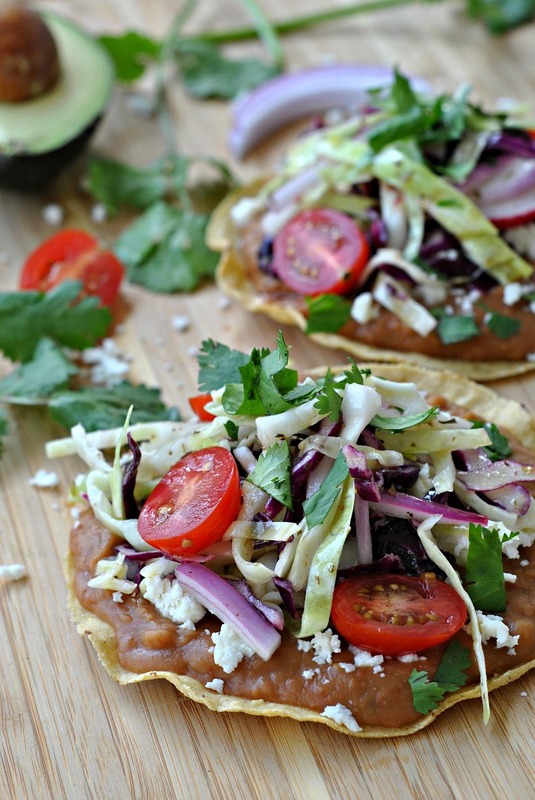 Just like these tostadas, or “big chips” as my kids refer to them. 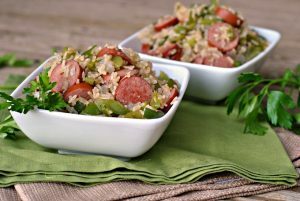 They’re high in fiber, offer up lots of vegetables, and come together in no time…and with so few dishes – another mom win! Heat beans for 2-3 minutes, stirring half-way through cooking, in a microwave safe bowl. Remove and stir in pico de gallo. 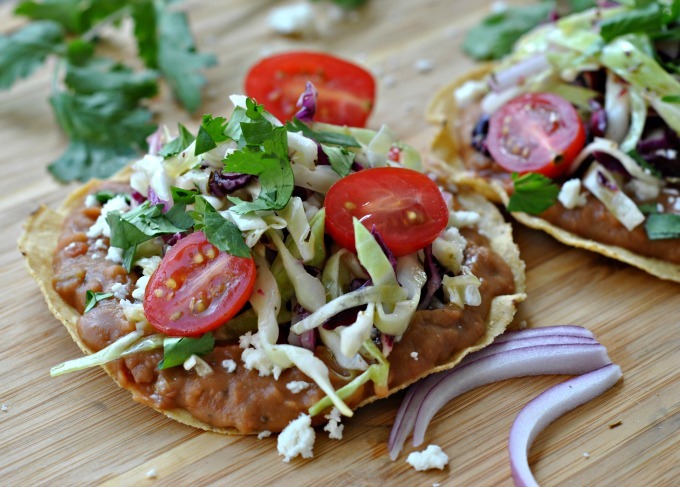 Spread each tostada shell with ⅓ cup bean mixture; top each with 1 cup cabbage mixture and 2 tablespoons queso fresco. 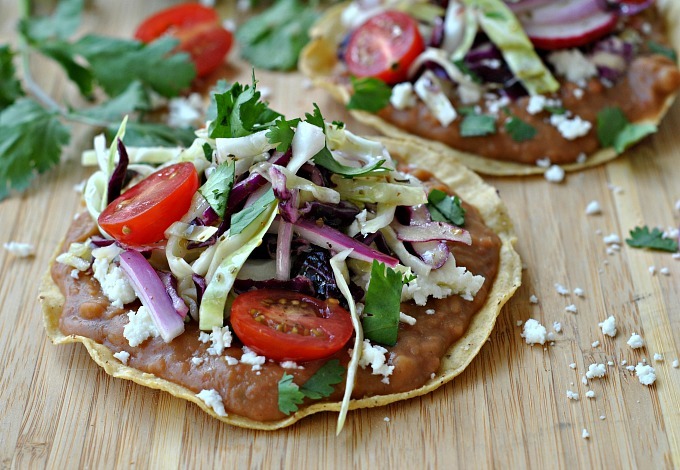 Garnish with torn cilantro, if desired. 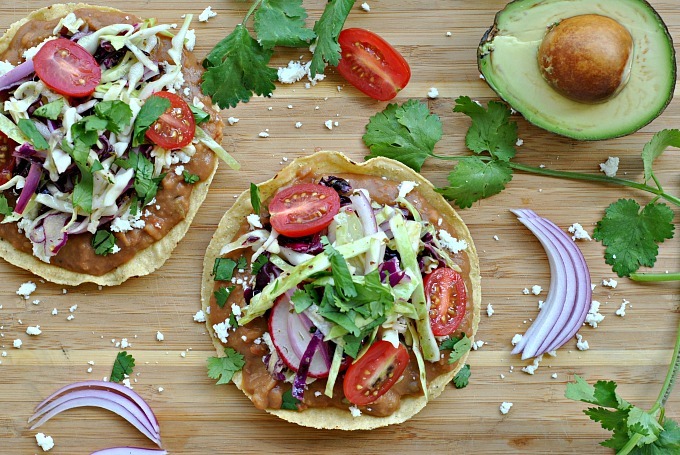 Ahh – wish we could get all the ingredients you can get – jealous – might have to substitute something for the tostada shells – looks divine!